Site of the European Surfing Federation. The mission of the European Federation is to promote surfing and bodyboarding in all European countries with a federation or association of surfing. She also encourages the creation of a federation or association in the countries of the european area who does not already have it, she have also a power of coordinating and control. The federation responsibilities include the European Tour of Bodyboard, European competition showcasing the best bodyboarders in each country. Visit the website of European Surfing Federation now ! 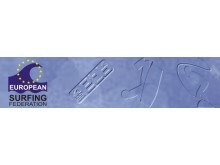 European Surfing Federation , belonging to category "Federation"